Therigy, the trusted partner for specialty pharmacy management software and services, has developed a publication series: "Specialty Pharmacy Standards of Care." 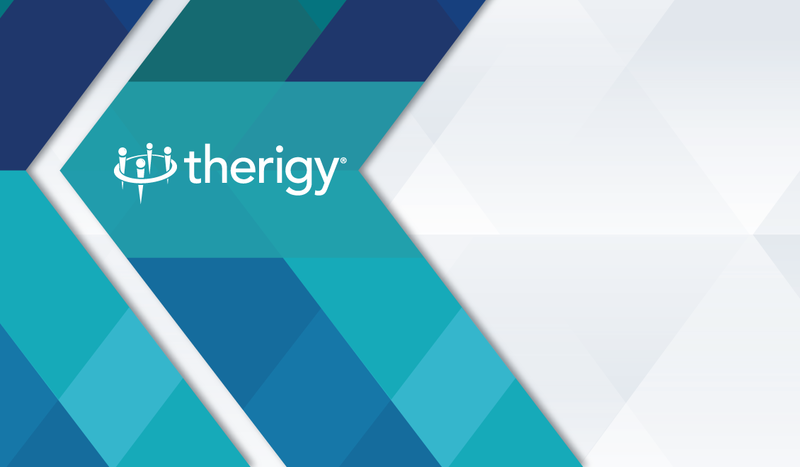 With hundreds of thousands of unique patients served and over 100,000,000 patient assessments responses completed, Therigy has enabled pharmacists and patient care providers with a consistent way to care for patients across the nation with our flagship software, TherigySTMTM . The first Therigy volume of "Therigy Standards of Care: Hepatitis C" addresses the Hepatitis C virus (HCV). We leveraged our in-depth knowledge gained from serving hundreds of specialty pharmacies and over 75,000 HCV patients over a decade to establish the care guidelines presented in the "Therigy Standards of Care: Hepatitis C." Therigy will be following this up with additional volumes covering other disease states. We are enhancing our specialty pharmacy management software to execute these standards. With many physicians prescribing different types of treatment, there is sometimes a gap in determining the correct HCV regimen. Many patients are seeking care from a gastroenterologist or a hepatologist, but many are not. They are left seeking care with their general practitioner or family doctor, who may not be well versed in the HCV regimens. It is extremely important to ensure the correct regimen and duration of treatment to help the patient achieve a sustained viral response. For over 10 years, pharmacists and patient care coordinators have used specialty patient management platforms to ensure that the patient is on appropriate therapy to combat the virus. To achieve a sustained viral response, or “cure”, the correct treatment needs to be prescribed and adhered to. The newer drugs available today have efficacy rates of 95% or greater. Many patients lack knowledge about the Hepatitis C virus and the importance of treatment. They may fall into old habits of taking medications - missing a dose here or there, not refilling their prescription on time, or not getting the required lab work done in a timely manner to ensure the continuation request of a prior authorization approval. Pharmacists and patient care coordinators play a vital role in educating patients and providing constant support throughout therapy to improve adherence rates and ultimately assist in the sustained viral response. Outcomes data are extremely important in the evaluation of Hepatitis C treatment. Prior to the advancement of treatments, Hepatitis C had significant impact on reduction of work productivity. Today, treatment outcomes are being monitored for items including: regression of fibrosis/cirrhosis, reduced hospitalization, reduction in urgent care and acute doctor visits, drug resistance, Hepatitis C recurrence, and of course sustained viral response. Documenting side effects experienced and adherence helps collect meaningful data allowing one to capture support measures, which can be quantified into savings. It is imperative to monitor for cost savings, especially in patients who have had a change in therapy to a more efficacious regimen or a change to a less expensive regimen with the same efficacy outcomes. Obtaining lab data four weeks into therapy (to confirm a 2 log drop in viral load), compared to end of therapy and 12 to 36 to 48-week post therapy are significant in evaluating drug treatment. If the pharmacy and physicians are documenting the care given to each of these patient’s month after month, data can be pulled using a robust specialty patient management platform, such as TherigySTM, to review trends and patient specific outcomes reports. Understanding the level of care and attention Hepatitis C patients need and wanting to do all that we can to support pharmacists and the entire care team, Therigy has established a pharmacist care plan with specified standards of care for the pharmacy and their staff to use in caring for their HCV patients. Not every pharmacy is going to provide all the same services through the patient’s journey. Each pharmacy can determine the level of service they feel is necessary to support the patient, achieve optimal outcomes, to satisfy their stakeholders, and to grow their business. At Therigy, we have designed TherigySTM to assist our pharmacy customers at different levels of service but always with the patient in mind. In “Specialty Pharmacy Standards of Care: Hepatitis C,” Therigy’s team of pharmacists have identified three levels of patient care and support to address specific medical needs and diagnoses. Establishing the standards of care for a Hepatitis C patient and understanding the need for that personalized care will immensely improve a patient’s quality of life and will inevitably increase the quality of care for the overall patient population. To learn more about these standards of care and the supporting outcomes data, click the link below and you will be redirected to the download page.